- Patron of Ireland and Nigeria, invoked against snakes. - Feast Day: March 17. This 25" statue features a mature hand painted face, and golden halo. St. Patrick holds the book of his missionary life and conversion and his bishop’s crosier in one hand and offering a blessing in the other. 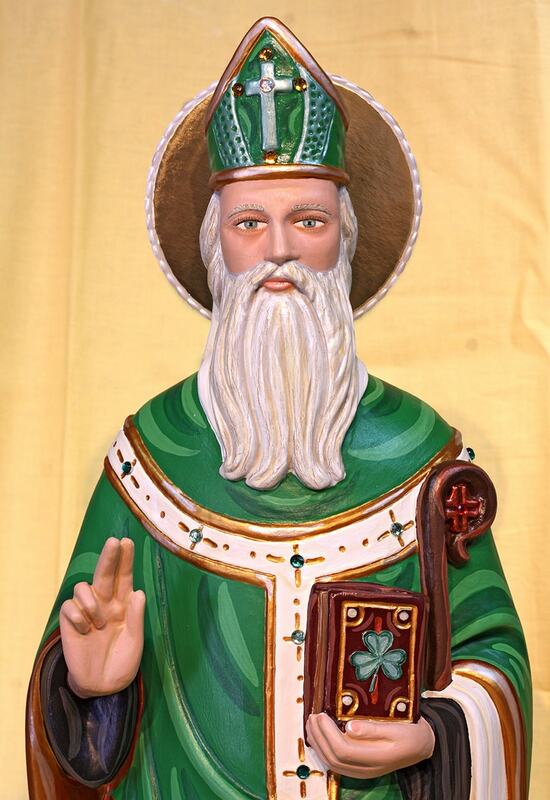 Shades of green from all parts of Ireland abound on St. Patrick’s vestments. We hand make our statues here in Arizona and are made to order. Please allow 5-10 weeks for us to make and ship your statue.